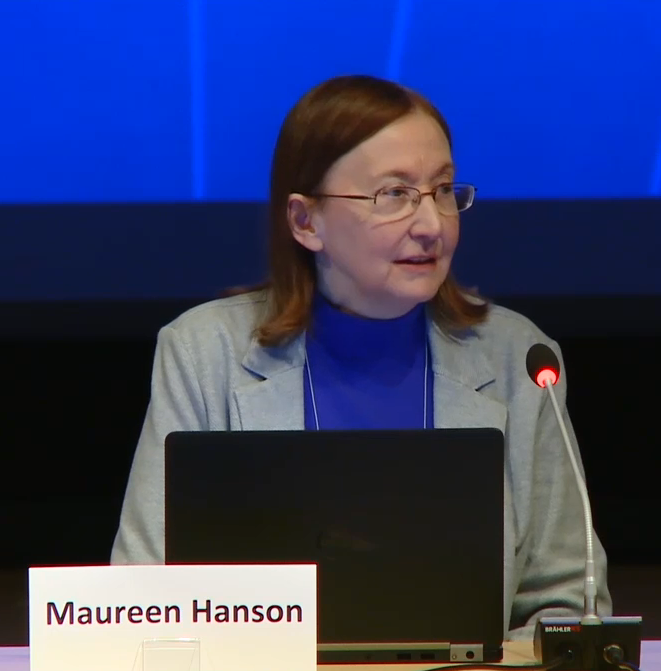 Dr. Maureen Hanson spoke on the “Next Steps for ME/CFS Research” panel at the NIH meeting “Accelerating Research on ME/CFS” on April 5, 2019. The text of her statement and some by Dr. Jose Montoya on the same panel can be found here. A transcript of the prior remarks at the meeting by Dr. Francis Collins is available here. Our collaborators at Workwell Foundation have published a review concerning chronotropic incompetence in ME/CFS patients. What this means is that studies that have ME/CFS subjects exercise to a percentage of their maximal heart rate may be actually having the subject exercise at their maximum capacity, since their actual heart rate may often be lower than expected. Please see the link below to be directed to the publication. This past November, @DrMaureenHanson visited the Okinawa Institute of Science and Technology Graduate University in Japan to participate in their distinguished speaker series. Dr. Hanson’s talk provided general awareness about ME/CFS and shared details on the Center’s research. In particular, the research topics covered were the functioning of immune cells, cellular metabolism, the microbiome, neuroimaging, and exercise physiology. While in Japan, Dr. Hanson spoke with a representative of the Japan ME Association. 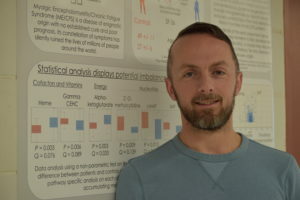 ME/CFS researchers in Japan hope to attend the April 2019 NIH meeting. Let us welcome Carl Franconi to the Cornell ME/CFS Collaborative Research Center team. He will be joining us as the Manager for the Center for Enervating NeuroImmune Disease. Carl will be taking over the administrative workload from Ms. Susi Varvayanis, who has recently taken a full-time position in the Graduate School to pursue her interest in supporting PhDs interested in non-academic careers, a role she had been carrying out part-time while efficiently managing our NIH ME/CFS CRC. The Hanson lab, which is a member of our Center, has recently published a metabolomics study in the journal Metabolites. Visit https://www.facebook.com/CornellMECFSCenter/ for a summary of the article. The complete publication can be accessed using the link below. 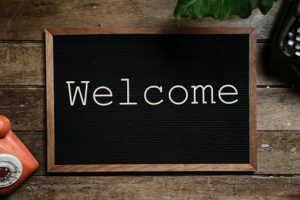 The Chronic Fatigue Syndrome Advisory Committee (CFSAC) June 20 & 21 meeting agenda, audio recordings, and transcripts are now available to the public. This committee provides advice and recommendations to the Secretary of Health and Human Services. Many agencies take part; their presentations follow. The Weill Cornell Medical Center is recruiting individuals between the ages of 21-65 whose doctor has found no cause for their severe fatigue. Please contact Xiangling Mao by phone at (212) 746-2632 or email at xim2004@med.cornell.edu for more information about the study and to determine if you are eligible. Study participation includes a visit to the study physician’s office to fill out a questionnaire on physical and mental health, and a medical examination. If deemed eligible, a visit to Weill Cornell Medicine includes a questionnaire, magnetic brain imaging (MRI), blood draws, urine tests, a cardiopulmonary exercise test (CPET) and positron emission tomography scan (PET). Participants will be compensated for their time. Please see the NYC -Recruitment-Flyer for additional details, and share it with others who are able to travel to the site if they are deemed eligible. The second annual Community Symposium on the Molecular Basis of ME/CFS will be held at Stanford University on September 29, 2018. Maureen Hanson is among the distinguished list of speakers. Full details about the symposium can be found here. UPDATE: Maureen’s complete talk was recorded and can be viewed here. UPDATE (12/10/18): The recruitment flyer has been revised. Please navigate to the flyer link below to retrieve the new version. Now that the IRB protocols have been approved, the recruitment and screening of ME/CFS patients and low-active control subjects will begin. To learn more about the process and what determines your eligibility, and to print a flyer to help us recruit participants, please see ME/CFS Recruitment flyer for Ithaca and Los Angeles areas. The total time commitment to participate is about 5 hours, excluding travel to and from the testing site. – Have a phone call with us to determine eligibility for the study-about 10 minutes. – If eligible, meet with your physician or our physician for clearance to participate in the study. During this meeting, urine and blood samples will be collected. You will not be charged any fee to be examined by our physician or for the blood and urine tests. Takes about 60 minutes. – Complete questionnaires about your health/medical history and physical activity level. Takes about 60 minutes. your fingertip before and after each test. The total test session is about 60 minutes per test. – You will wear a wrist watch device for 10 days before and 10 days after the exercise tests. It takes about 5 minutes to learn how to use this device. Infectious Disease Medical Office in Torrance, CA. Who is eligible? Adults between 18-70 years diagnosed with Myalgic Encephalomyelitis/Chronic Fatigue Syndrome and have not been diagnosed with depression. – Complete some questionnaires about your health/medical history and physical activity level. Takes about 60 minutes. – Complete 2 exercise tests on a stationary cycle separated by 24 hours. Each test requires 8-12 minutes of exercise. You will also have a small amount of blood collected from your arm before and after each exercise test, and a single drop of blood from your fingertip before and after each test. The total test session is about 60 minutes per test. How can I sign up or get more info? 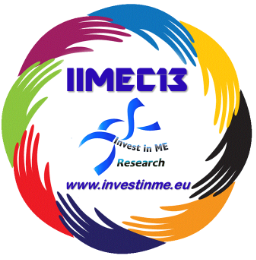 Maureen Hanson joined other researchers, physicians, patient groups and journalists from around the world at the 13th conference to advance ME/CFS research. Here is a link to the full agenda. InvestinME is producing a DVD of the presentations that can be purchased soon. An announcement will appear on the home page of their website.